Technology is evolving. Yes, we know that! And so are business processes centered on technology. In a modern business ecosystem, the Sales Development Representative (SDR) is solely responsible for outbound prospecting, using emails and phone calls to determine whether a lead is qualified enough to be handed over to a quota. An SDR is the front line of the company. And he needs to embrace the tools that technology provides. As seen from the graph below, email is ubiquitous and allows the user to assert some control. It is now the first and probably the only contact information that people easily part with. So the first time you reach out to a prospect via their email, it is imperative that they don’t SPAM you straight out of their inbox. Now, whether you have a target list of e-mails provided by your company, or whether you have been maintaining a database of e-mails collected through various social outreach activities, trying to engage with these prospects via an e-mail campaign is probably going to be your first step. A mail merge campaign basically consists of two parts – content and data source. While the content remains the same, the different values of the data source allow you to send out a dynamic and personalized e-mail to your target audience. A mail merge campaign allows you to create a common message having variable data points like first name, e-mail address, company name, salutation, etc. A mail merge automates the most boring and repetitive task of manually creating a separate e-mail for every recipient and increases your productivity greatly. While a mail merge campaign can be created entirely with the MS-Office ecosystem (Word, Excel, Outlook), there are many more sophisticated e-mail marketing tools available in the tech market. Some give free tools for a limited number of recipients, while other enterprise marketing automation software can set you back by a few hundred thousand dollars. For an SDR, a great start to your mail merge campaign is to first, segment your data. A mail with the same message might not be suitable for different industries, job profiles or geographies. Segmenting offers in order to offer unique benefits to the different recipients. Is the target audience likely to respond to your mail merge campaign? Does your audience align with your product/service? Does each segment have a specific need? It is common industry knowledge that the best day to send emails is Tuesday to Thursday. · 6 am – To reach out to people who check mails when they wake up. · 10 am – For people who want to finish attending to unread emails before their work starts. · 2 pm – To people looking to relax a bit after lunch and looking for distractions. · 8 pm – For people who are likely to check mails before going to bed. However, with people increasingly checking their e-mail on mobile devices at all hours, this paradigm is shifting. Ensure that you send emails based on the local time zones. According to Adobe Consumer Email Survey 2018, 85% of people check e-mails on their mobile device. This means that all mails that are sent out have to be mobile-ready. If the primary goal of your mail merge campaign is to get a more immersive customer experience, rather than just get them to click links within your e-mail, then it makes absolute sense to spend some time in creating a better design. Opens, clicks, and conversions, while being a few important metrics to gauge the success of an e-mail campaign, are not the end-all ones. E-mail open rates have held steady over the past few years and are described as the number of people who opened the e-mail divided by the number of e-mails sent (after removing bounced e-mails). 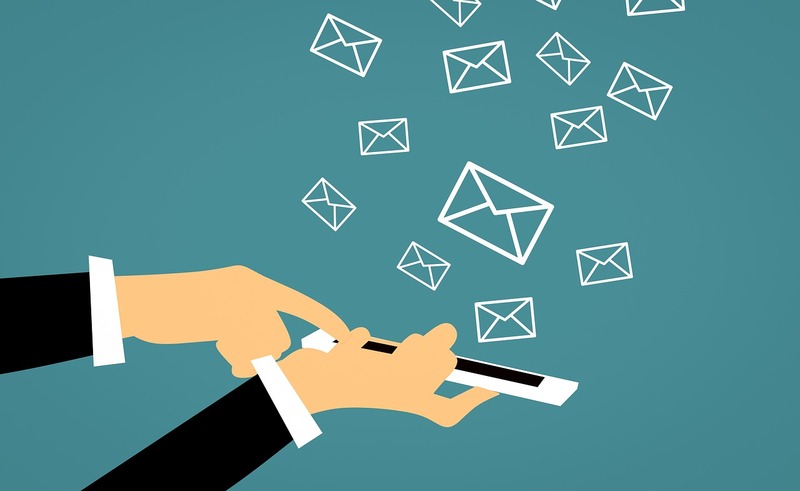 Optimized email response rates are attributed to a catchy subject line, good visual design, effective content and reaching the right target audience. Wouldn’t you love to increase the open and click-through rates of your email campaigns? Running a simple A/B test prior to the actual campaign can help optimize e-mail response rates, by changing simple design elements. For example, you could test two different mails, one with a video and one without and decide which mail gets a better response. A little time spent in tweaking the design of your e-mail template can make a substantial difference in optimizing e-mail response. What is important here is to keep a record of all the metrics, which can help you distill all things that worked for use in future campaigns. Content has to resonate with the target audience for any mail merge campaign to be successful. As people today are getting bombarded with content from different channels, they are getting lesser time to actually view the content. 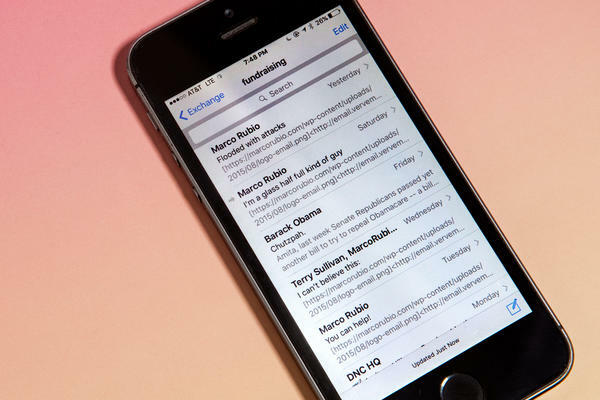 Your subject line should be catchy and be able to pitch your proposition in one short line. It should be easy to understand and be specific to what you have to offer, and so it’s important to be creative. The body of your mail needs to be concise, be current and show value; else it will just take a few seconds for the recipient to discard your mail. Ensure that you include a Call-to-Action (CTA). A great CTA ensures that you move the prospect further along the buying journey. Be it a link to a video, a white-paper or even a landing page, make it exciting enough for the prospect to want to venture further and see what you have to offer. Keep a balance between the amount of text and images. People generally don’t like reading an essay on your products and services and also tend to associate e-mails with too many images as spam. Make sure that you include links to all social media outreach platforms your organization uses, like Facebook, Twitter, LinkedIn, Instagram etc. in your e-mail template. Opens, clicks, and responses to any mail merge campaign can be very disheartening and underwhelming. However, this should be taken in stride, because the ROI from the responses is very high. Irrespective of whether the recipient gets back to you, a follow-up is a must. Allow at least 3-4 days before a follow-up and ensure that it resonates around your original e-mail. You could set up a drip campaign strategy to automate sending e-mails based upon the recipient action. · A second e-mail to all recipients who did not open the first one. · An e-mail sent to those recipients who clicked on the CTA. · A fully personalized e-mail to a recipient asking for a demo or pricing. · Sending additional information if a recipient visited your website post the campaign. · Sending an e-mail confirming opt-out by the recipient. Lastly, don’t hesitate to pick up the phone and call if you feel positive about a response. · Have a comprehensive strategy and vision. · Respect your audience with regards to content and compliance. · Do not be disheartened with your first results; it is an iterative process. · Keep using your learnings from one campaign and apply it to further campaigns. · Ensure that you use e-mail, phone, and social media outreach tools for your follow-up.